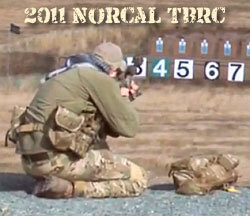 This video has highlights and interviews from the 2011 Tactical Bolt Rifle Challenge (TBRC) in Northern California. 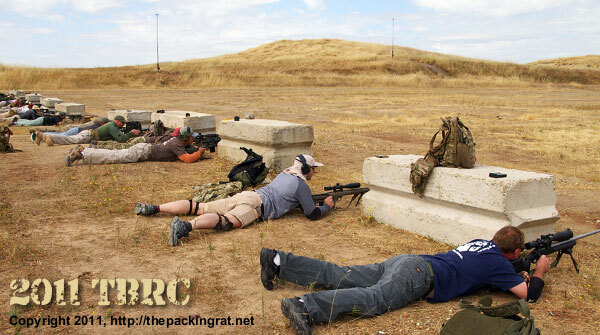 Some 66 shooters competed in a multi-stage event held May 27-29, 2011 by the Nor Cal Practical Precision Rifle Club (NCPPRC). You’ll see the latest tactical hardware and shooting techniques in this lengthy (35 minute) video. The video shows bolt guns being shot from a variety of positions: prone, kneeling, sitting, standing, and off barricades. Match Director Vu Pham explains some of the more interesting courses of fire in the match. There are also interviews with many of the competitors. If you The last 10 minutes or so of the video covers the awards ceremony at the end of the match. If your time is limited, you may want to skip that section. CLICK HERE for more TBRC 2011 photos. | Complete Match Results and Match Summary by Vu Pham. Story Tip from Edlongrange. Photo courtesy ThePackingRat.net. We welcome submissions by readers. Share the post "2011 Tactical Bolt Rifle Challenge Match Video"
Running a Bartlein Barrel, US Optic scope, a Vortex Recon Monocular, TIS sling, had a positive factor with winning this match for me.